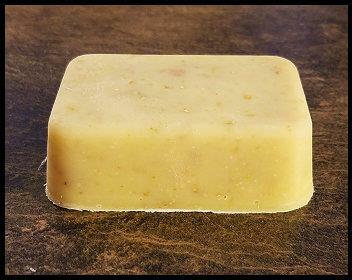 This basic soap combines olive oil and coconut oil to make a lightweight, scent free, rustic looking bar. 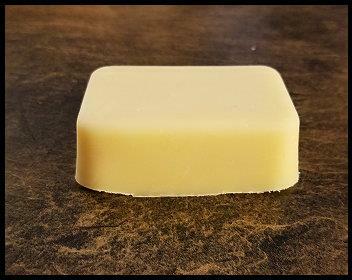 Our Rosemary soap is made using fresh rosemary to make a "tea" that is combined with olive oil infused with fresh rosemary leaves, and then combined with rosemary essential oil to make a lightly scented bar. Dried rosemary leaves are also added to the bar to help with skin exfoliation. Our Dandelion & Honey soap is made from fresh picked dandelion flowers which are used to make a dandelion "tea." 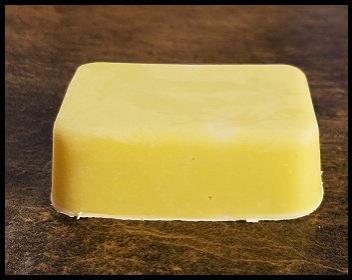 Dandelion flowers are also used to infuse the olive oil, which is then combined with coconut oil, sweet almond oil, sunflower oil, shea butter, and honey, which gives these bars a light, "earthy" scent. 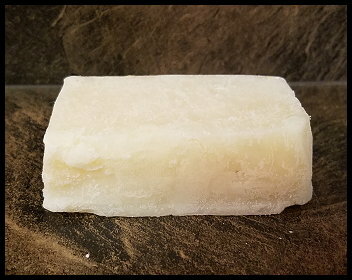 Our Peppermint soap is made from an olive oil, coconut oil and shea butter base, and is then scented with peppermint essential oil to make a nice "minty" scented bar. 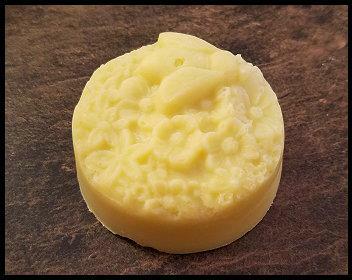 Our Lavender & Oatmeal soap is made from an olive oil, coconut oil and shea butter base, with oatmeal added as an exfoliant, and is then scented with lavender essential oil to make a lightly scented bar. 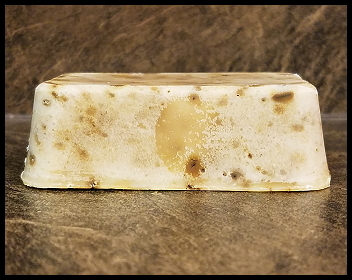 Our Triple Brew Coffee soap is a great choice if you love coffee. We triple brew coffee for this soap, then add coffee infused olive oil with coconut oil and cocoa butter to make a light coffee scented bar. These bars also contain fresh coffee grounds to aide as an exfoliaint. 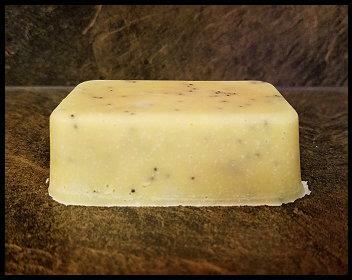 Our Lemon Poppy Seed soap is made from an olive oil, coconut oil and shea butter base, with poppy seeds added as an exfoliant, and is then scented with lemongrass essential oil to make a light citrus scented bar. At Smokey's Hive, we strive to use natural ingrediants in all of our soap recipies. 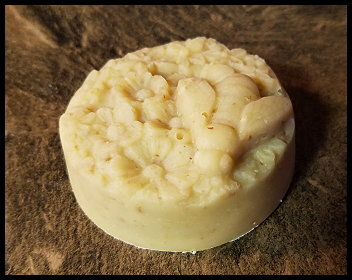 All our soaps are make with lye, which is necessary to convert the oils used into soap. Fresh herbs and flowers and some dried herbs are used, along with essential oils, to give our bars a fresh and natural fragrance. 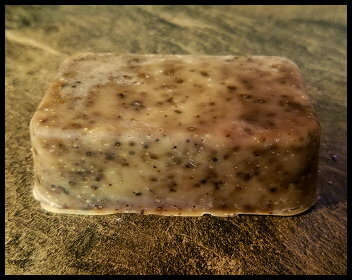 Several of our soaps also have additives to make the bars an exfoliant as well. Each rectangle bar measures approximately 2.9 in. x 1.9 in x 1 in and has an approximate weight of 2 oz. 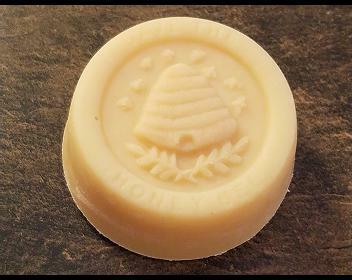 The decorative honeybee themed bars are larger bars, available in several styles, and weigh between 2.5oz and 3.2oz depending on style chosen. Please note that there may be slight color variations between each batch of soap due to the natural ingredients used. We are sure you will find a bar that is right for you!